When I think of New Zealand's The Bats, one of my all-time favorite bands, many things come to mind. Of course, there is the consistent, high-quality music, and the jangling guitar sound. But my thoughts also turn to friendship. This is a band that has been together for over three decades, with no break ups, additions or subtractions. Yes, that's right -- Robert Scott, Kaye Woodward, Paul Kean, and Malcolm Grant were the original Bats, and remain the sole Bats to this day. But on a personal level, there is something else to the friendship theme with this band, and it occurred to me after I'd bought their new album The Deep Set and played it start to finish a number of times over the first few days: The songs themselves become friends to the listener. Just as there are certain people you want to see at the pub on a Friday night, or at a group dinner, for example, when I get into my car in the morning I look forward to cuing up opening track "Rooftops" right after I start the car. If I'm very much looking forward to going somewhere, "Walking Man" is my favorite way to sustain my mood. Coming home or near the end of the evening, there are few things better than album closer "Not So Good". Other times, showcase track "Antlers", "No Trace", "Looking For Sunshine" or one of the others may best fit the bill. But whether I skip around to match circumstances or just play the songs through, the opening sounds of each successive sound prompt a rush of recognition and satisfaction. I suppose one reason for this reaction is that I simply love style of music that The Bats have perfected; the chugging, jangling folk influenced rock has been a musical interest of mine for decades. I think that another is that Robert Scott's songwriting perfectly blends the specific and the opaque, inviting the listener to subconsciously add his or her own details and emotions on the platform he has offered. Then there is the fact that this band has worked together so long, and has so much evident trust in each other, that their efforts produce perfect little musical testimonies to their friendship. 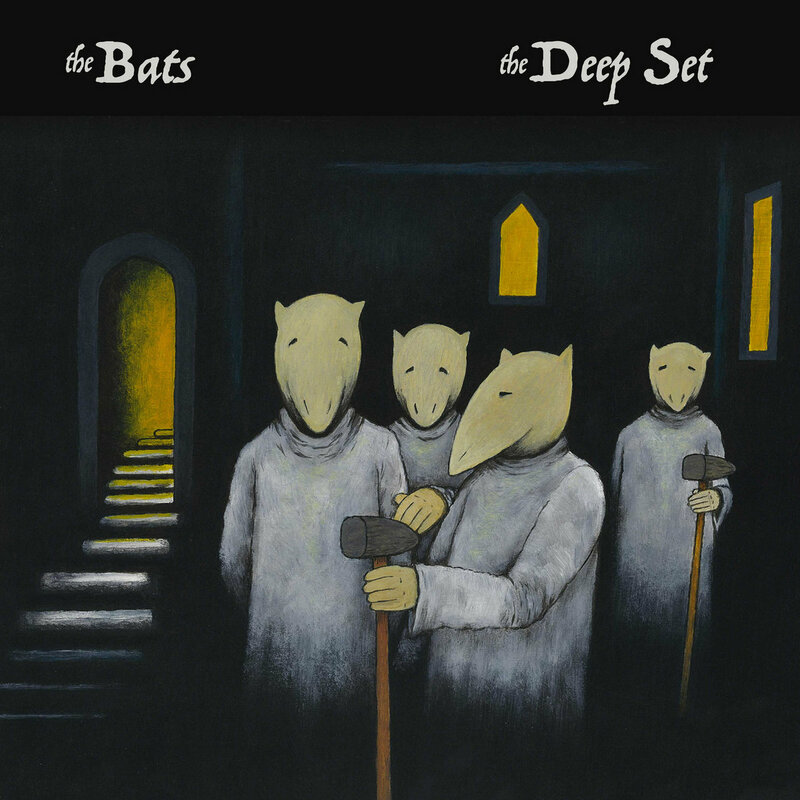 However, not to be overlooked, in fact, a major point here, is that after 35 years of music-making, The Bats have created some of their best songs for The Deep Set. Their first full length, Daddy's Highway is considered by many, including this writer, to be a masterpiece. But in my view, many of the songs on The Deep Set could easily slot into the lineup of that seminal album without detracting from, and perhaps improving, the set. The melodies, themes and tone are all there. A bit of the rough edges have given way to more performance polish, but that is neither unexpected nor troublesome. Scott's lead vocals hold up well, with a touch of weathering (like the creases on my old LL Bean leather jacket, it just adds depth). Kean's seemingly effortless but bouncing bass and Grant's crisp and sturdy drumming are ever lively and connected. And in my view Woodward's lead guitar lines, economical but incisive, are the best she has contributed to an album for The Bats. This is an album that not only is a joy for now, but will remain very satisfying for years. A deep set, indeed. The Deep Set is out now via New Zealand label Flying Nun. In North America, Onmian Music Group is handling the release. Nice write up. I had the good fortune of seeing The Bats live a number of years ago at NJ's Maxwells in Hoboken. (Also: The Clean!). I remember looking next to me in the crowd and seeing Ira Kaplan of Yo La Tengo. Thanks, Edoc. I only saw the live once, when they were in Seattle a few years ago.